When a young boy turns up dead in a sleepy Western Pennsylvania town, a local outsider takes it upon himself to play detective, embarking on an obsessive investigation in order to the prove that the boy had been murdered, leading to unthinkable and harrowing consequences. 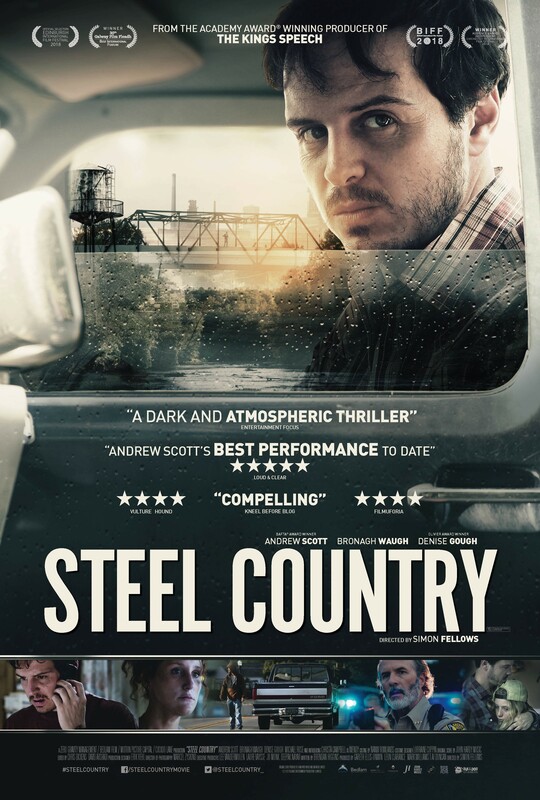 STEEL COUNTRY is a an award-winning, dark and compelling thriller from the Academy Award-winning producer of The King’s Speech, starring BAFTA-winner Andrew Scott (Spectre, Sherlock), Bronagh Waugh (The Fall) and two-time Olivier Award-winner Denise Gough (Collette, ’71). OUT NOW IN SELECT CINEMAS & ON DEMAND.